Nursing school is demanding and challenging, and once you start, you must be prepared to concentrate on it fully in order to succeed. At every nursing school that you attend, there is a minimum grade point average that you MUST maintain. If you flunk out of a class, you don’t just flunk out of that class or that semester, as you would in other types of educational programs. You flunk out of the entire nursing program, and lose all that money that you paid for tuition. 1.) Make sure that your math skills are up to par. This isn’t just so that you can pass your nursing classes; it’s a matter of life and death for your future patients. You will be prescribing medication and performing complex calculations. You need to make sure that you can do so quickly and accurately. 2.) Make sure that you have all of your prerequisites completed, or that you are enrolled in the final few prerequisite classes that you need, at the time that you apply. And make sure that your grades are good, because competition to get into nursing school is fierce these days. You will most likely need college level algebra, English, nutrition, Anatomy & Physiology I and II, microbiology, psychology, and some version of human growth and development to get into an Associate’s Degree nursing program. You can take many of those classes online or at a local community college. Check with the schools that you are interested in applying to, to find out what prerequisites they require. 3.) Check with your state board of nursing to make sure that the schools that you are interested in are accredited. 4.) If you have children, make sure that you have childcare plans lined up. Make sure that you have backup plans in case childcare falls through one day or your child is sick. Is there a daycare in the area that will offer care for children who have a cold? (Some daycares have this special service.) Does your nursing school know of any resources? Hit up your friends, hit up your family, offer to trade babysitting if necessary. 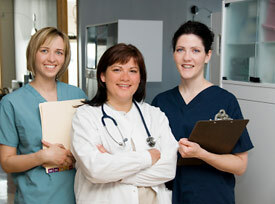 Keep in mind that when you have to do your clinicals, they will frequently be at odd times, on nights or on weekends. 5.) Make sure that you have reliable transportation to school – know the bus routes and times, or make sure that your car is running an insured. Look into carpooling with other nursing students; anything that saves time and money will be helpful. 6.) Make sure that your finances are in order. Draw up a financial plan that covers the entire time that you will be in nursing school, with a list of all your anticipated expenses. Assume that there will be some emergencies during that time. Car repairs, home repairs… try to budget some emergency money in there. 7.) Make sure that your credit is good so that when you apply for financial aid you will get it, and get the best possible rate. Do this by paying your bills on time, not applying for a lot of credit cards, and checking your credit rating to ensure that it accurately reflects your credit history.